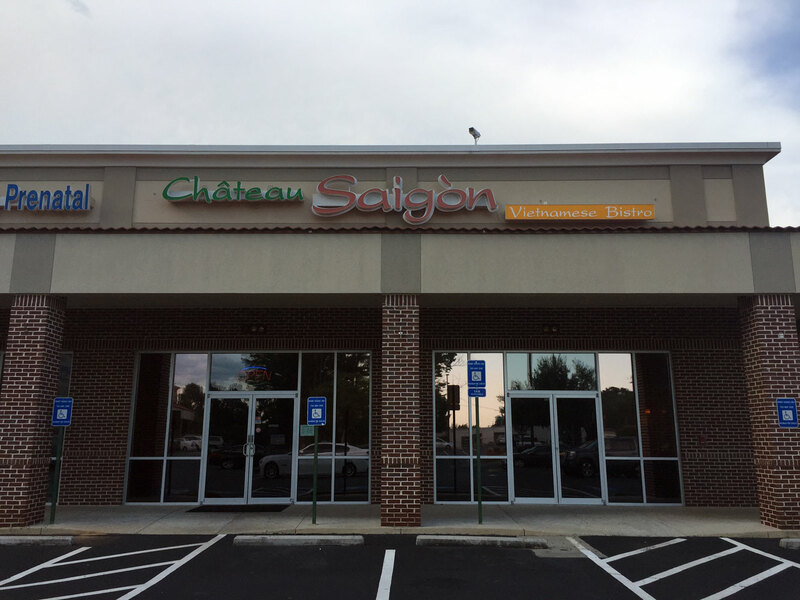 Chateau Saigon may be found at 4300 Buford Hwy NE, Atlanta, GA 30345 in a small shopping center Independent Plaza - this is a rather interesting section of Buford Hwy that features many Vietnamese restaurants and businesses. 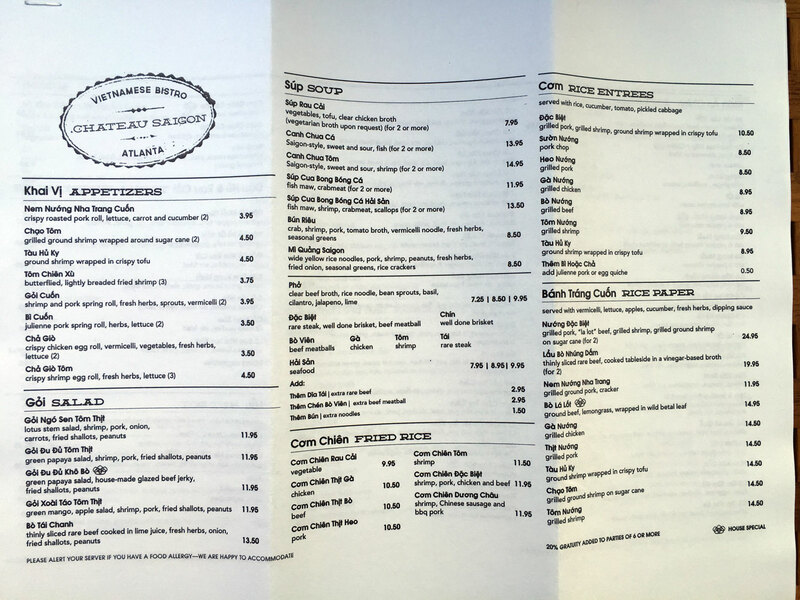 I'm not sure if the location of Lee's Bakery and Co'm led to the influx of like businesses or if there was some other factor, but more than any other area I think of this small region as "Little Vietnam" and so happy to find them there. 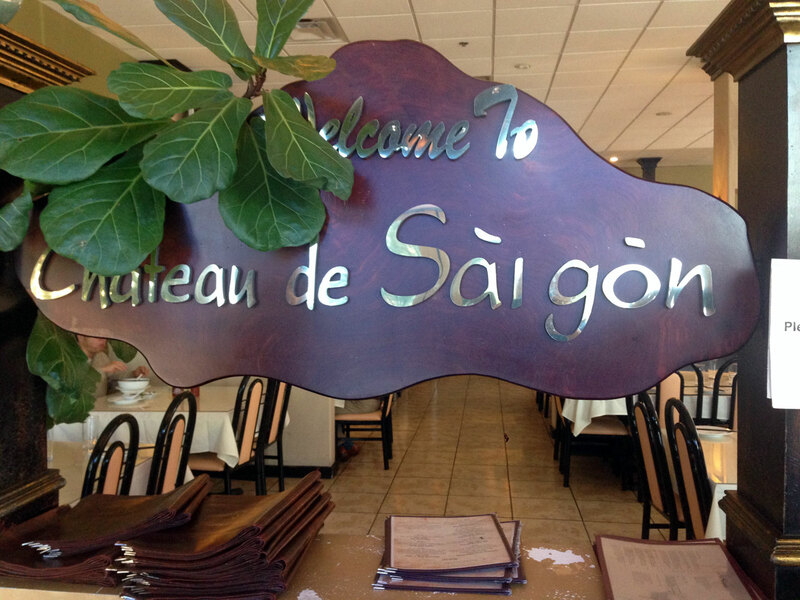 More than any other Asian cuisine, Vietnamese food is perhaps my favorite, exemplifying pure, fresh ingredients in a very recognizable and delicious execution. I've now eaten here several times and I must say that this has become one of my favorite Vietnamese restaurants. 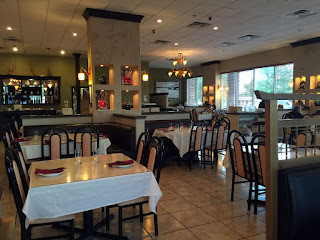 A bit more upscale than the other places I visit, the decor is much more akin to what you would find in a hip, French bistro rather than a pho palace with modern lighting, finishes and accessories - you'll see that from the finishes to the cloth napkins. 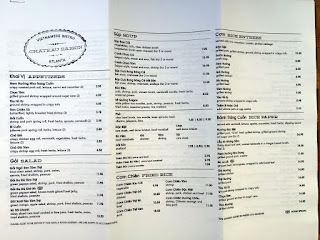 The staff here is excellent, with good English skills, attentive servers who know and can answer questions about food, and hip haircuts. 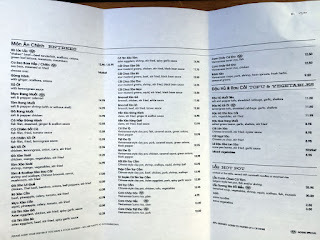 Saigon also offers a more diverse menu than what you normally find with all the regular items (pho, lettuce wraps, shaken beef, wide-noodle, etc) but with some interesting additions to try. 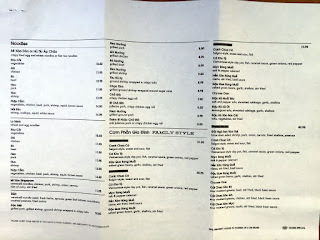 As with most other Vietnamese restaurants, I recommend the shaken beef and papaya salad as "safe" American things to try - these aren't the sickly sweet typical fare and worth a taste if you're not more adventuresome. 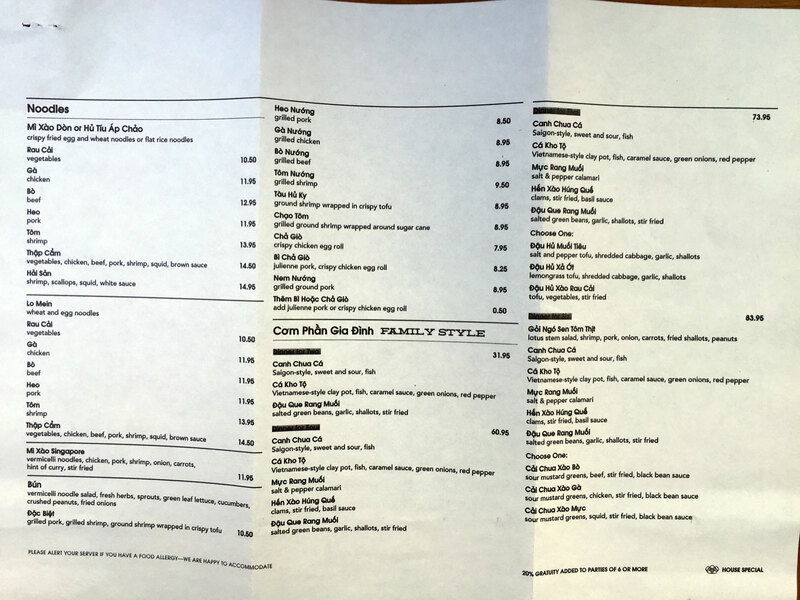 You want to come here with a group and order many different items and share them family-style - you'll be very glad you did. 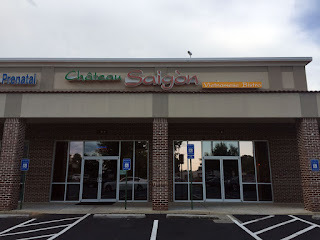 If you look up the website chateaudesaigon.com you'll find a pdf menu, however it doesn't display everything they offer so make sure you look at the various specials (the opposite is also true - if you're looking for pho during lunch just ask as, depending on the menu it can be difficult to find). 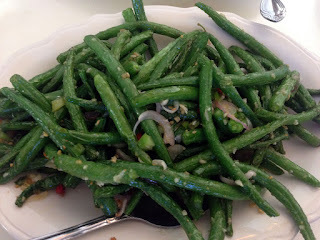 Check the salted green beans for a delectable flavor sensation. My favorite dish, hands-down is the Lemon Grass Tofu - these are lightly fried, delectable tofu cubes with a slight crust and creamy, hot centers, tossed with a mix of ginger and lemon grass - simply wonderful. 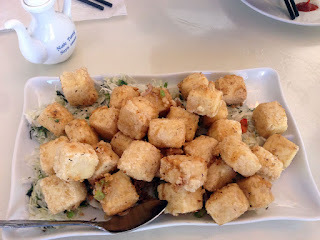 The other dishes to try are the Mi Xao Don "crispy noodle" dishes - so good and with a great texture. 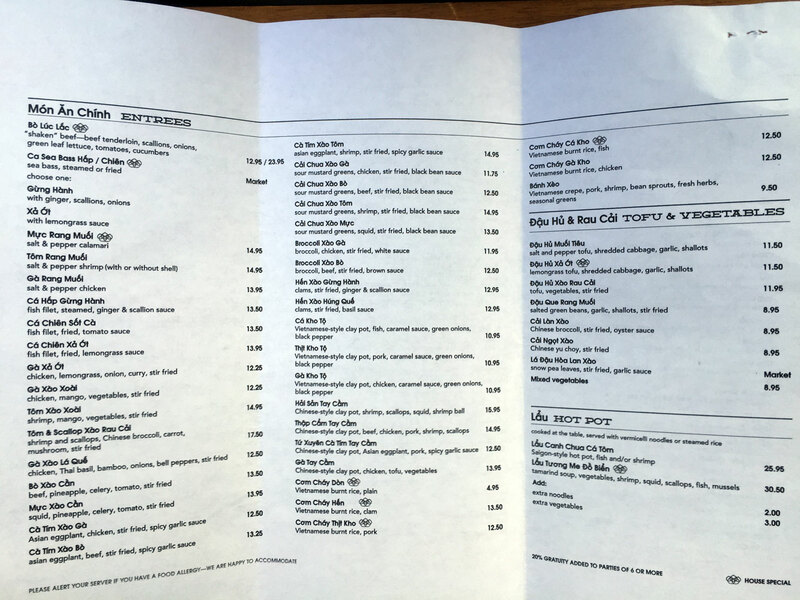 There seems to be a lot of actual vegetarian options but make sure you tell them your Vegan when you order if that's of concern to you. I've come here during lunch with a fairly large group and a call to the restaurant with an idea of the time we'll arrive is a good idea - the food came out quickly and I saw no suffering of food quality. 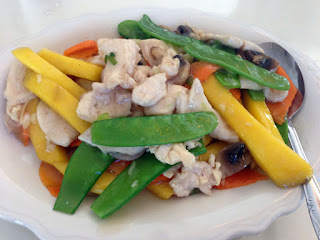 There were a handful of Indians with us that were all vegetarians and they seemed to be very happy with the food they ordered. 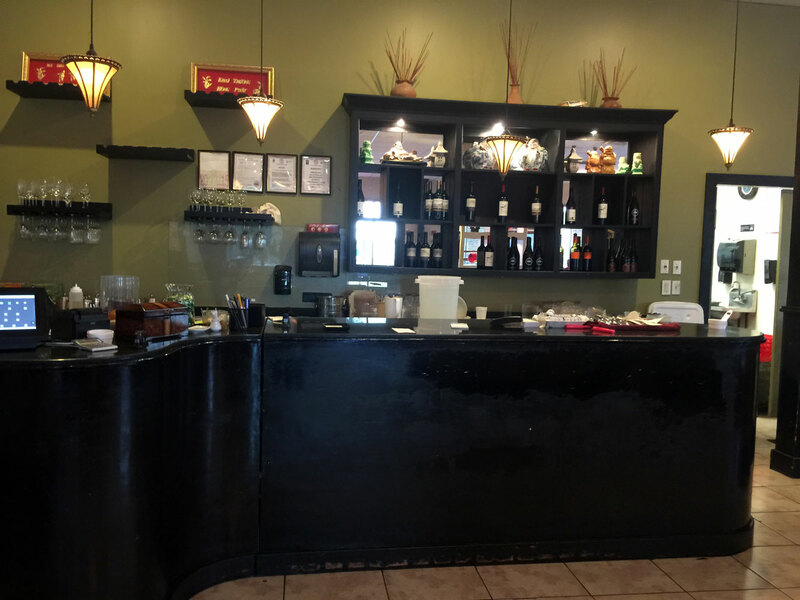 The restaurant is on the West side of BufHi as you're traveling North on the end of a small shopping center - it's kind of in the middle of nowhere with large expanses on either side but you will see other Vietnamese businesses, both in the shopping center and across the street. This is definitely more of a townie place rather than your typical BufHi Asian restaurant.